CRUISE holidays are made much easier for passengers due to more lenient luggage restrictions. Unlike on flights, holidaymakers don’t have to adhere to such strict luggage rules – but certain items are still restricted. So can you bring an iron on board?. Cruises see holidaymakers away from home for long periods of time so it’s important they pack wisely. Cruise ships often offer fun opportunities to dress up host formal occasions – for which smart clothes are vital. But how do cruise passengers ensure their clothes are looking their best? Are irons allowed on board to smooth out creases ahead of a fancy night? Unfortunately, no – passengers are not allowed to bring their own irons on board as they are a fire hazard. Clothes irons are banned industry-wide, according to cruise site Cruise Critic. Fortunately, this doesn’t mean cruise passengers have to walk around looking crumpled. Many cruise lines offer laundry services to help their customers beat the creases. All Fred Olson and P&O Cruises, as well and some Thomson Cruises, offer self-service launderettes with ironing boards, according to Cruise Critic. Carnival also offers self-service laundrettes. 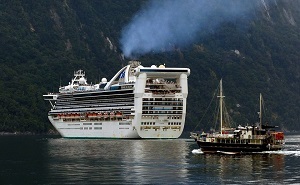 Cruise lines such as Royal Caribbean and Norwegian do not offer these facilities, however. 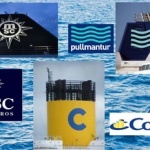 On these ships, passengers’ best bet is to use the ships’ pressing services – although these can be expensive. A free way of getting around the problem of ironing is to hang up clothes in the bathroom while a hot shower is running, advises Cruise Critic. Another solution is to hang up clothes in the wardrobe as soon as you arrive in your cabin and hope creases will drop out. Travel kettles are also not allowed on board as well as other heat-producing products such as hot plates and coffee machines….